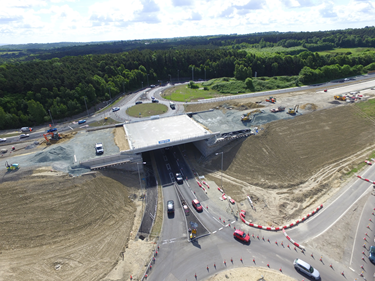 Soil reinforcement made from steel or various polymeric materials are conventionally used in many construction projects around the country, but when it comes to areas with more extreme soil chemistries, the job requires something more built-to-last. Manufactured with high tensile strength and chemically engineered to withstand pH extremes, Tensar’s Uniaxial Geogrids made of high-density polyethylene (HDPE) are perfect for projects in cold-weather climates, coastal areas with exposure to salt water environments, and light rail transit systems that introduce stray current into the underlying soils. Since San Diego built its Tijuana Trolley light rail transit system in the 1980s, many American cities have looked to light rail systems as affordable alternatives to under subway systems. Portland, Buffalo, Sacramento, and San Jose followed suit after San Diego in the 80s, and Houston recently installed its own light rail system in the 2000s. These systems usually see relatively high commute share, but it doesn’t take much service level disruption to scare passengers away. And with many systems around the country now into their third decade of service, maintenance of the infrastructure supporting these transit lines will become more common, leading to more construction delays. 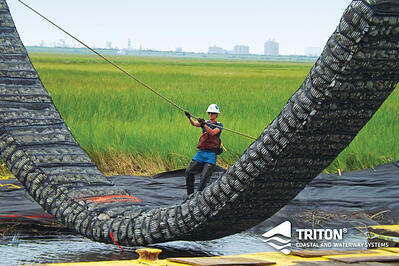 This is where Tensar’s Uniaxial (UX) Geogrids can save a city’s return on investment. 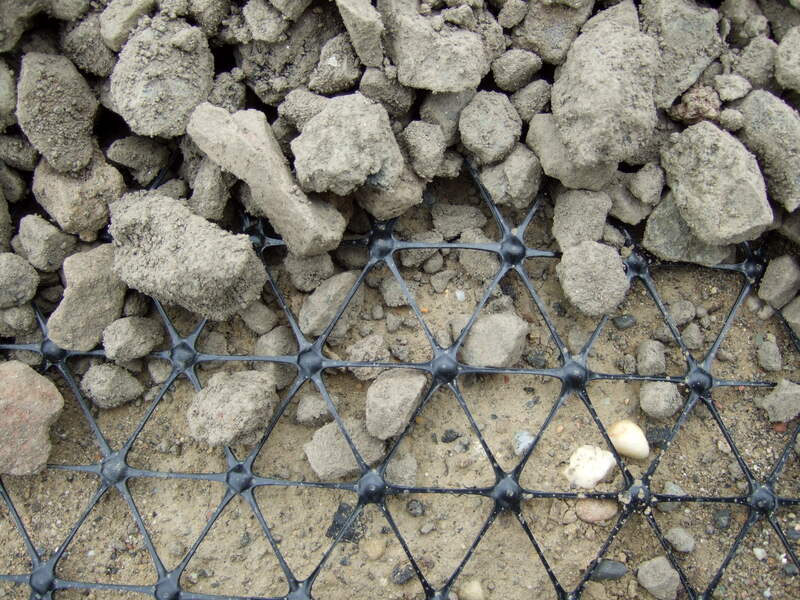 Unlike other soil reinforcement made of steel, or polyester (PET), Tensar’s UX Geogrids are made of HDPE, a “hot-soil”-resistant polymer that boasts high tensile strength and longevity in the most extreme conditions – the same polymer is used to line landfills. HDPE lends a much longer design life to big projects, especially in coastal cities like San Diego and Boston where a combination of stray current from light rail and higher pH soils from tidal areas quickly attack steel and other polymeric reinforcement. Given that HDPE is inert to aggressive soil environments on both ends of the pH scale, this material is right at home among the elements, performing well in both wet and dry environments. 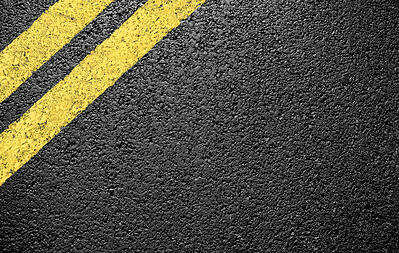 A technical brief on the durability of geosynthetics by the U.S. Federal Highway Administration (FHWA-RD-01-050) found that in a test performed on HDPE, “…no oxidative degradation leading to strength loss was measured or could be inferred.” This durability allows for a wide variety of backfill options, even if those include hot soils. Whether you’re working on America’s next light rail system, a retaining wall near the coast, or a highway built for harsh winter conditions, you need construction materials that stand the tests of time and mother nature. 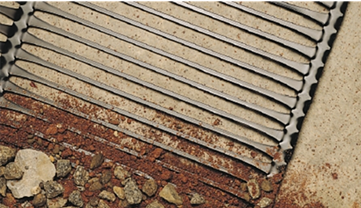 Other soil reinforcement might get the job done at first, but they simply can’t handle the pressure over time. Go with the durable materials that are time-tested in aggressive environments and use Tensar’s Uniaxial Geogrids for your next big construction project. With Tensar's UX HDPE Geogrid, you can save costs by using inexpensive backfill options like recycled concrete or onsite materials. Download our handy backfill compatibility chart to see how using Tensar's UX geogrid can help your project. Are you currently dealing with aggressive soils? Let us review your project free of charge to see how UX geogrid can help. 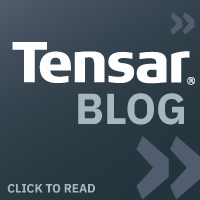 Now there’s a better way to design segmental retaining walls: introducing TensarSoil Design Software from Tensar International. Fully interactive, this new program allows you to input and alter project geometry, geogrid grade or layout, surcharge loads and/or soil characteristics to determine stability data and material costs instantly.